Randomized color has been added to SketchBook. In the Color Editor, tap the arrow at the bottom of the Color Wheel to enable Randomize and set how crazy you want to get. We added a feature to hide interface elements that are a little too close to your finger when drawing. Now, purchase a SketchBook Subscription using your Google Play account. 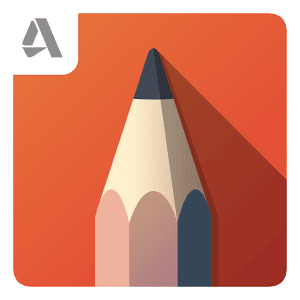 A SketchBook Subscription unlocks the SketchBook Pro features across all your devices, including Mac, Windows, iOS, and Android, with a single purchase.